CHAPTER2 was created by Michael Pryde and inspired by his years of dedication to design and cycling. From the time he started racing BMX as a kid, he has pursued his passion for competitive cycling for almost 4 decades, having raced at the highest level in both Downhill/Cross-Country and Road. CHAPTER2 produces high specification carbon bike frames, with unique designs that inspire desirability in our customers. 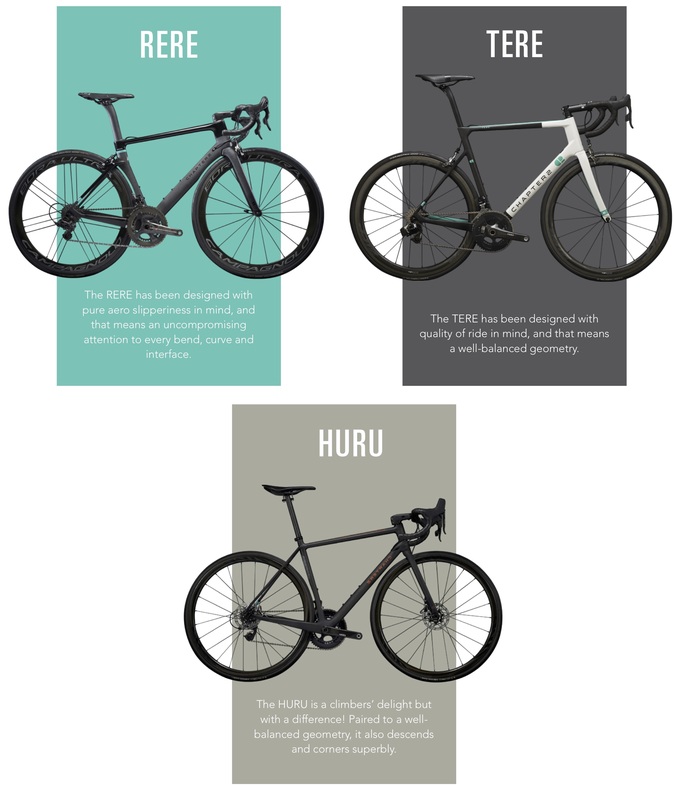 Based on a depth of industry experience at Neil Pryde Limited, CHAPTER2 represents the next step for our founding directors as we develop a boutique bike brand with a unique business model crafted to succeed across the international bike market. We sell direct to consumer (D2C) and direct to dealers (D2D) online with ‘just in time’ delivery allowing us to build strong relationships with customers and service centers, while generating superior gross margins via the elimination of third party distributors. 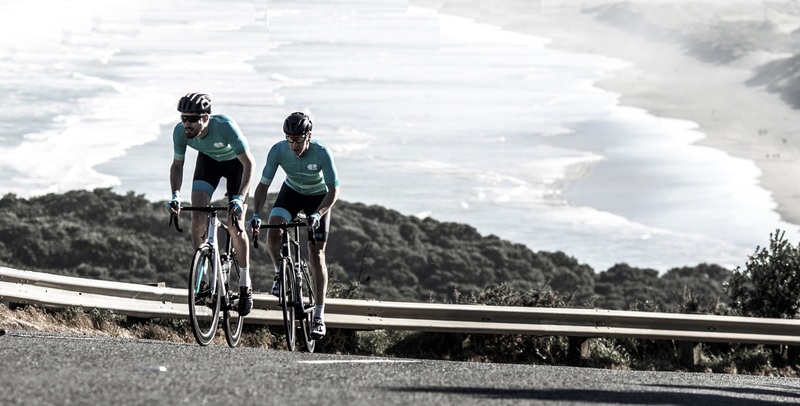 Road cycling, particularly at the higher performance end, has undergone strong popularity growth where it has been referred to as the “New Golf” (Financial Times, 2016) for busy professionals. Asia has a relatively underdeveloped bike market with China and Japan considered the fastest growing bike markets in the world (Nielsen). The European centric industry is yet to truly capitalise on this trend and there is a dearth of ‘new world’ biking brands. Our Tier 1 markets (130+ frames sold) are currently Australia, Korea, Thailand, China and Indonesia, with sales of 300 in Japan. Our largest target markets are Europe and the US. CHAPTER2 bikes and branding tap into the psyche of professionals who want the latest and greatest piece of biking kit. Our bikes have been popular because of their unique designs and the value for money the carbon frames represent at our price point. CHAPTER2 has been able to create the desirability of a boutique frame builder, but via a production method that is scalable and a business model that has a price and margin advantage over much larger incumbents in the market with regard to quality. CHAPTER2 achieved NZD $1.3m in revenue in its first full year and we are forecasting revenue of NZD $2.1m for FY19. Executing our strategic plan will see forecast growth to NZD $38.9m by FY26. The business has delivered ~56% gross margins since inception and we are forecasting to deliver at scale above ~50% as we grow via our omni-channel strategy. This will deliver positive EBITDA by FY21 and EBITDA of NZD $8.1m by FY26 creating several possible return streams for investors. CHAPTER2 intends to continue growing its business through opening up new distribution channels, increasing marketing spend, and ensuring the right resources are available to grow existing markets. Funds raised through the capital raise will help fund sales and marketing initiatives in key markets, especially Europe, USA, Japan and Australia, while building out our management team. We have proven the market and business model for our bikes with over 1,500 frames sold in 35 countries since launching in July 2017. As the recent recipient of a Gold Pin at the Designers Institute of New Zealand’s Best Design Awards, CHAPTER2 has quickly grown into an enviable brand with a high performing reputation. We are now seeking capital and further expertise to take the business to the next level. Strong traction since launch in July 2017 – 1,522 frames sold in 35 countries generating revenue of NZD$3.2m. Business model has delivered superior gross margins of ~56% versus industry norms of 20-25%. Highly experienced management and board with significant international industry experience, including the founding and subsequent exit from a USD$100m revenue p.a. global sports business based in Hong Kong. The CHAPTER2 brand has previously operated out of a company in Hong Kong, called Performance Sports Limited. 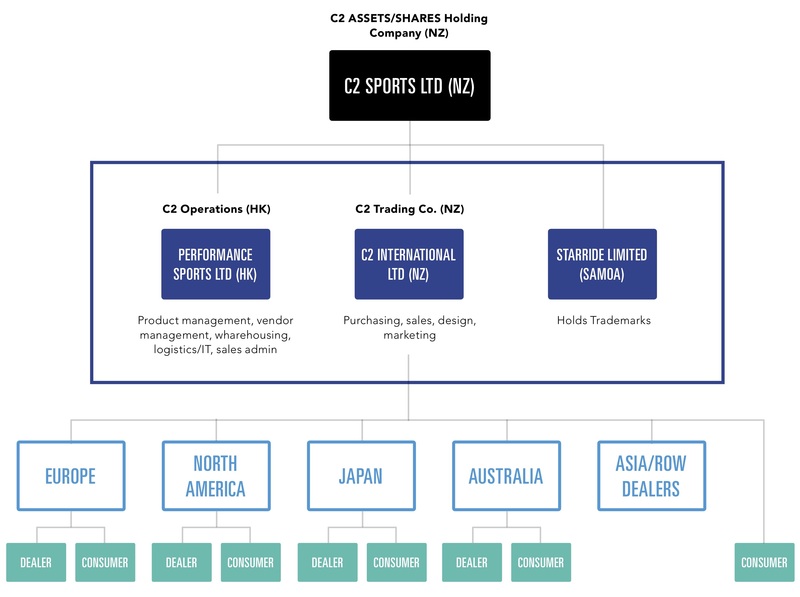 As part of the capital raise, a holding company called CHAPTER2 Sports has been established in New Zealand, which will hold all the relevant interests in the CHAPTER2 business, including Brand IP, Trademarks, Performance Sports Limited and the bike moulds. Investors will be buying shares in this holding company. Part of this switch to New Zealand from an operational perspective will also lead to the establishment of another NZ subsidiary of the holding company, CHAPTER2 International. CHAPTER2 International will take over management operations from Hong Kong, with Performance Sports Limited remaining as a cost centre, handling warehousing and shipping. CHAPTER2 design, develop and sell high-performance carbon frames that our customers love and industry professionals rave about. Our business model is based around 3 key interrelated pillars - online ordering, just in time delivery, and frameset only approach. Together these 3 pillars result in superior margins. Dealers hold minimal stock at all times as we provide them with ‘just in time’ delivery of additional stock when required. Dealers in each geography receive an agreed discount from the retail price (via discount code in the online check-out), which is set to maintain our margin whilst also providing adequate margin to the dealer. Our frameset-only approach and removal of commoditised third-party parts means we remove the margin dilution of selling complete bikes, and allows us to manufacture and ship our product quickly. With steady prices, we are not competing with dealers, therefore consumers decide how they want to buy and dealers get more profit and shop loyalty from their customers when putting their bike together (starting with their CHAPTER2 frameset). Road cycling is the most widespread form of cycling internationally, and growing at a phenomenal rate, particularly in Asia. The consumers in the high-end bicycle market are driven by two main factors – product technology and brand equity. 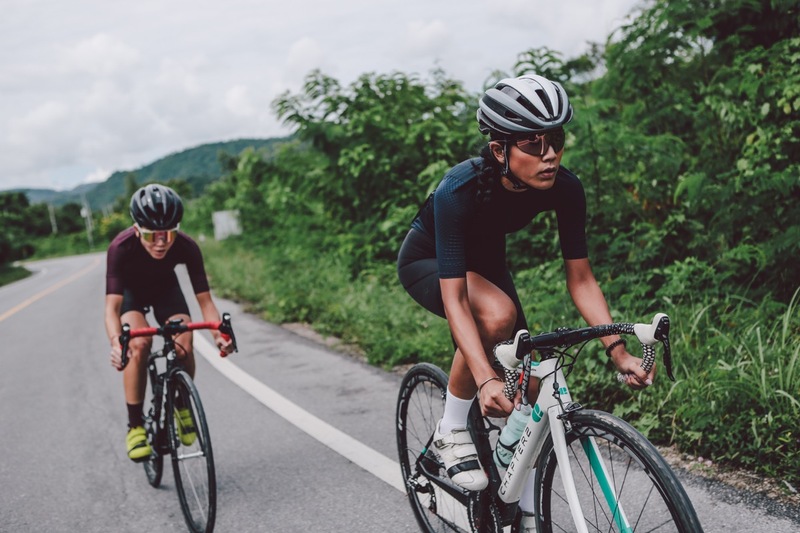 Road cycling enthusiasts generally have high disposable incomes, are highly engaged and are after the latest and greatest when it comes to their chosen hobby. These are consumers willing to pay a premium for a high quality, customisable product produced by a desirable brand that matches their lifestyle aspirations. The allure of something different that attracts attention from their peer group. They are uniquely Kiwi in an industry awash with European & American options. They are excellent value for money in terms of technology and carbon specification due to our D2C and D2C distribution model which strips out several cost layers. They are highly rated designs that offer something different for riders who are looking to stand out. CHAPTER2 is carving out a niche as a high quality, great value product in the high-end road bike market. Our key human resources are split across two offices in Auckland and Hong Kong. In Auckland, Michael engages with the design and sales side of the business, along with our marketing manager Chris Young. In Hong Kong, Neil leads an office of 4, focused on sales administration, logistics, procurement and quality control. We also employ part-time brand ambassadors in key sales territories. Post the capital raise we intend to establish a beachhead in the United States, while expanding our Asian sales presence through hiring one full-time sales manager and one marketing assistant located in New Zealand working alongside Michael and Chris. From FY20 onwards we will build out the sales team in USA, Europe, Japan and Australia to support ongoing growth in key markets. Our frames are manufactured in Xiamen, China by our manufacturing partner. We have an extensive quality control process on each and every frame that leaves the factory to ensure it is up to our performance standard. Each frame is designed in New Zealand with Michael’s oversight. Auckland has a very technologically advanced composites industry and engineering resources due to the amount of support built around Emirates Team New Zealand over the years. We also partner with the University of Auckland to test our frames in their wind tunnel. We currently warehouse all product in Hong Kong and China before distribution to customers. We are already in the process of consolidating all our inventory in one location close to our frame vendor in China. This will facilitate efficient inventory management, logistics and improve product mix to support sales. Our customers are typically well-off professionals, who are road cycling enthusiasts. They are passionate about the sport as part of their lifestyle, and aspire to own a bike that is unique among their group of friends who ride. We liken it to the sports car phenomenon. Some of our customers might own 3-5 different bikes, for various types of rides. 80-85% of our website visitors are in the 30-45 age range. They are digitally savvy and like a sharp price. Our outreach is predominantly driven by digital, given our D2C focus, with strong engagement metrics across Facebook (8.7k likes), Instagram (14.1k followers), and our own web traffic. We regularly receive great content and feedback from customers wanting to share their completed CHAPTER2 bikes and rides with us. Our customer base to date is an international one, with a heavy focus toward Asian countries where we have deployed resource. We engage an Auckland based digital marketing agency as well as our in-house marketing team to build our following and drive sales. In each local region we have a specialist facebook page, so our ambassadors can directly engage with locals and help with sales queries. The other key pillar to our marketing strategy is by engaging with the local cycling community by organising rides and getting our bikes in front of people. Events in New Zealand like the Karapoti (over 1,000 attendees) and the Lake Taupo Challenge (over 12,000 attendees) are also useful in reaching a large, engaged audience. This will be replicated overseas as we build sales resource. Sponsorship is a large part of our larger competitors strategy to build awareness, but at this stage we have intended to go for the ambassador route. 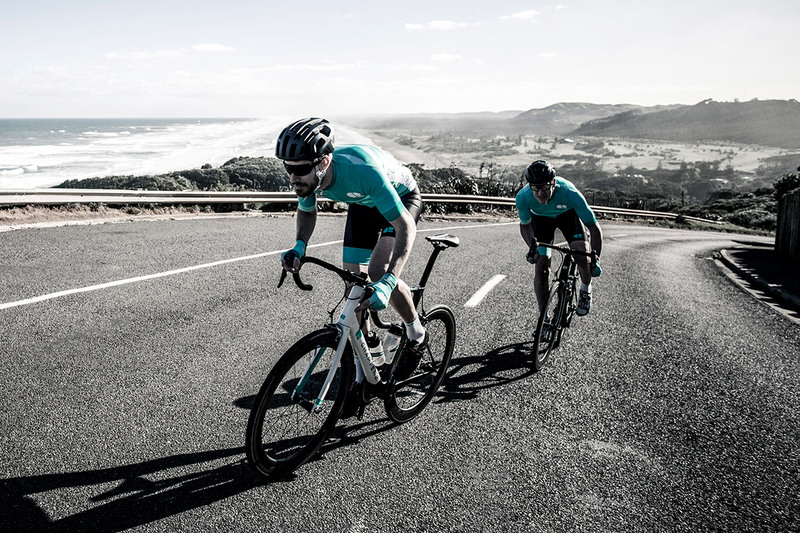 This allows us to engage with local cyclists in targeted regions, who have strong social media presence and focus more on the lifestyle aspects of riding versus performance racing. As we grow and have more cash flow available for marketing, we intend to phase in more sponsorship. 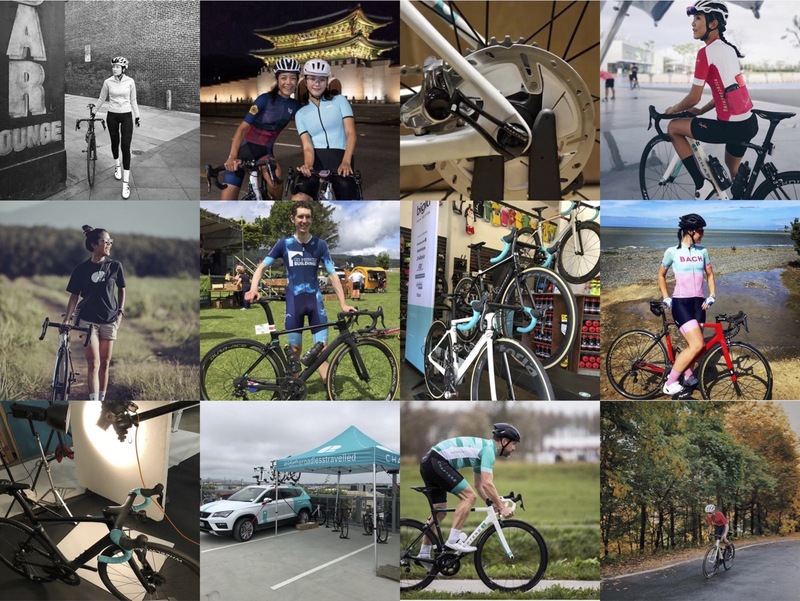 For the 2019 Season, CHAPTER2 will be the bike frame sponsor for the Bigla Women’s UCI WorldTour team. In FY24 we plan to sponsor a Tour de France level team to support ongoing growth in sales. This is complementary to the overall philosophy of creating a lifestyle engagement via social media. Cycling generally is undergoing significant growth, driven by the move toward healthier lifestyles and as an environmentally friendly transport option. The broader bicycle market is expected to reach an estimated USD $59.9b by 2021, according to Lucintel, growing at a CAGR of 2.4%. It is especially beginning to take off in Asia with the highest growth rates in participation internationally there. China, Japan and Hong Kong lead the way in terms of the fastest growing cycling markets according to a 2017 Nielsen study. Technavio also forecast 57% of the growth in the cycling market until 2021 will occur in the APAC region. An Inc. article in 2017 titled “5 trends that paved the way for a bicycle industry renaissance”, highlighted accessibility, urbanisation, wellness concerns, fashion and smaller boutique brands as the key drivers for the US market growth that saw the amount of rides taken between 2001 and 2009 double. Luxury fashion brands like Ralph Lauren and Chanel incorporated the bike into their branding, leading it to be seen as a fashion accessory alongside ‘your handbag and your sunglasses.’ This trend has culminated in the acquisition of Pinarello by Louis Vuitton. Similarly, the growth of bicycles in fashion led to a number of successful smaller boutique brands that emphasise the lifestyle aspects of riding and have tapped into a more fashion led approach to bike design. In our target market specifically, road cycling continues to see strong growth as the “New Golf” for busy professionals favourite hobby. International trends like MAMIL (middle-aged men in Lyrca) showcase cycling’s emergence as a modern day social and fitness pursuit. Cycling is ideal for middle and upper class professionals, due to its easy start-up skill level, social nature, positive health outcomes and the reduction in demands on the body versus other physical sports as people age. The bicycle industry is a mature one, with several very large publicly listed and privately owned manufacturers in USA, Europe and Asia (such as Giant, Accell, Trek, Shimano, Merida). Most of the big players are heavily invested in traditional forms of distribution where the manufacturer sells products to a distributor who then sells the product onto bicycle retailers. However, whilst this distribution model has brought many of these large players success and market share, they are now under significant price pressure from online manufacturers and dealers. They can offer consumers sharper prices if they are willing to wait for delivery of product from an online order. For example, in 2017, Accell saw its North American revenues drop by 22%, citing online competition as the key reason for the decline in its reporting to the market. The bicycle industry also has quite complex supply chains due to the intermingled nature of various manufacturers and distribution agreements. For example, Shimano is a key part manufacturer that was estimated to control over 80% of the high-end component market according to a Stanford Graduate Business School Study in 2006. It is commonplace, especially at the higher end of the market, for bikes to be custom built containing parts from a number of different suppliers and this complexity is a drag on profitability. There has been an emergence of boutique manufacturers in the past decade such as BAUM, Festka, Enigma catering to discerning consumers searching for a unique racing product at a higher price point. These frames are sometimes carbon, but more often aluminium, titanium or steel. These are reasonably expensive, with long lead times due to the handcrafted nature. We consider these more bespoke operators to be our direct competitors. Accurate market information is tough to estimate because a huge quantity of bikes ship with the same export classification ranging from USD $500 to $10,000 in price terms. To get a better grip on our market sizing, we prefer to get information on our competitors sales and consider what might be possible for us to achieve. CHAPTER2’s advantage lies in our D2C and D2C business model, our world class design, and our unique Kiwi brand heritage. We are the only brand in this market with an antipodean feel against a wall of European/US options. 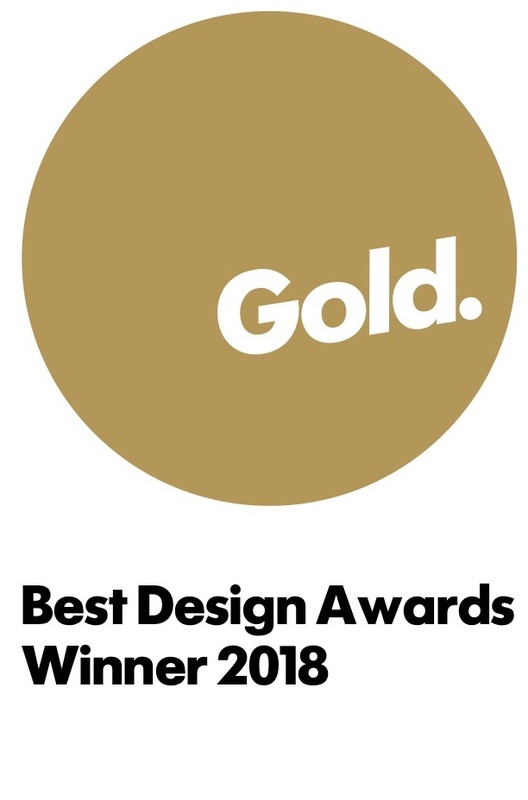 We have won design awards not only for style (Gold pin at the DINZ Best Awards & Finalist at the German ISPO Brand New Awards), but also regularly receive rave reviews from cycling publications about our frame’s performance. Our D2C (direct to consumer) and D2D (direct to dealer via a discount code to maintain their margin) business model allows us to offer unsurpassable quality at this price point, while keeping our service and distribution partners happy in target markets because we are not short cutting their model by engaging them on both service and bike assembly. Our fashion-led approach to bike design increases desirability and gives us a margin advantage because we do not discount to empty inventory. New models are released when we are ready. Our frame only approach also simplifies our supply chain and greatly reduces the capital required up front versus a completed bike model. This margin preservations allows us to reinvest in marketing, product development and further geographic expansion. CHAPTER2 occupies a part of the market where boutique handmade frames currently inhabit. However, custom frame builders cannot produce large quantities because each frame is hand made by the founder who is marketed as the “craftsmen”, personally making each frame. CHAPTER2 is positioned as a boutique brand, but with a business model that can be scaled up quickly and efficiently. Therefore CHAPTER2 has been able to create the desirability of a boutique frame builder, yet a production method that is scalable and a business model that has a price and margin advantage over much larger incumbents in the market. With a competitive retail price for the frame, this has allowed consumers to upgrade parts and components to build their dream bikes. 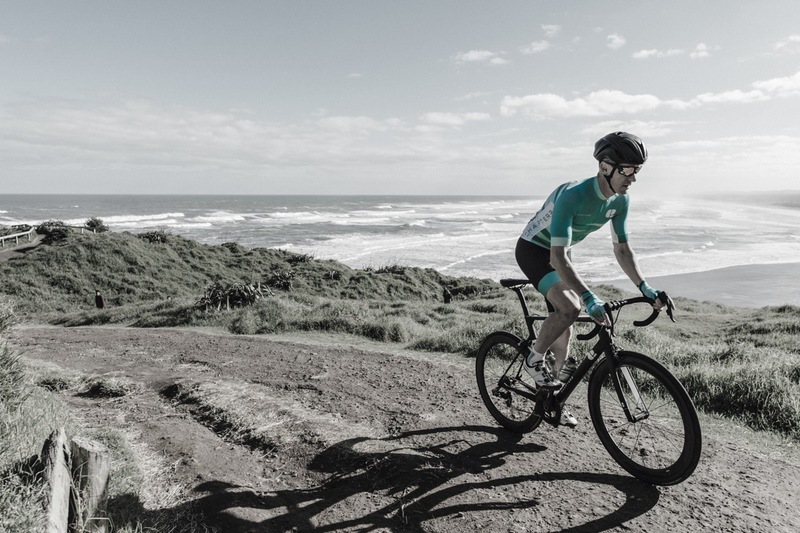 Therefore, whilst CHAPTER2 frames are considered affordable, the brand has been clearly positioned as a premium high performance brand, encouraging consumers to build very high-specification bikes. This is clearly reflected in many proud customers sharing photos of their bikes on Social Media. Onfire Design was first introduced to CHAPTER2 via a mutual friend. Founder, Sam Allan is a creative force in the branding and graphic design industry in New Zealand and his passion and understanding of cycling’s unique culture made Onfire Design a very valuable part of the team. Fibertek are a boutique manufacturer specialising in the production of high performance. Carbon fibre bicycle frames, wheels and other associated products. They have all their own in-house R&D, testing machines, mould production and paint shop, which makes them both cost effective and efficient. The painting/decal department in particular deliver a very high quality finish which is crucial to CHAPTER2’s products. The DINZ Awards is New Zealand’s premier design awards, covering product, architecture and media design. In the hotly contested Consumer Product category, CHAPTER2’s Aero Road bike the RERE that was developed and tested at Auckland University’s Wind Tunnel took out the much-coveted Gold Pin award. 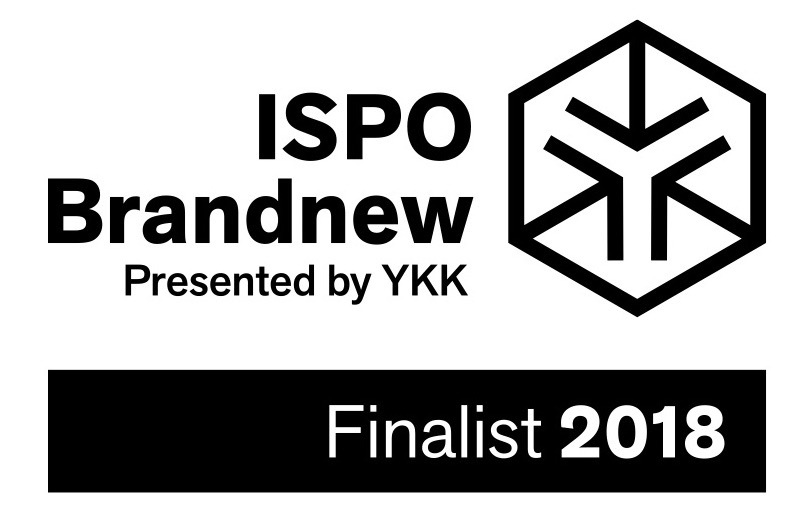 ISPO is the world’s largest outdoor product tradeshow and each year it hosts the ISPO BrandNew Awards. The award is eligible to start-ups only as it celebrates new comers to outdoor sports Market. CHAPTER2 entered in the hardware category and was a finalist in a very competitive segment, which also included other bicycle brands. CHAPTER2’s strategy is to grow the global geographic footprint of its distribution model through building a US distribution hub and employing full-time sales ambassadors in key markets, while continuing to innovate, releasing new frames and specialty designs to delight our customers. As the business scales we also intend to implement more robust operational processes in our key offices in Hong Kong & Auckland. By FY24, our goal is to sponsor a Tour de France team. This increased brand exposure at the pinnacle of cycling will drive strong sales growth. We intend to appoint a General Manager to manage operations in Hong Kong to coincide with Neil’s retirement. In North America we will establish a sales and marketing team to support our independent sales reps nationally. It will be customer focused, with key goals of building fruitful relationships with local bike dealers, generating sales, hosting riding events with the local community and ensuring timely fulfilment of our orders. We will likely start on the west coast before expanding. In Europe, we intend to hire a full-time Manager to support sales and marketing functions and work with independent dealers. We will continue to serve Japan direct from Hong Kong, but with the addition of a Japan Territory manager in the future. We have recently launched our third frame set called the HURU, a climbing model that was first shown at Tokyo Cycle mode in November 2018. We will support the product release by doing a number of rides and launch events around Asia. We also have in development a future model to capitalise on the emerging trend of Gravel Bikes, which mix road cycling performance with rougher terrain. The release of this is slated for mid 2019. We intend to upgrade models over 3-4 years cycles, focusing on the road segment so that our brand message, delivery and investment is highly focused and effective and not lost in the noise. The firm currently holds its branding IP in a Samoan holding company. The directors will transfer the ownership of the Samoan company to the new CHAPTER2 holding co. as part of the raise, and get the process underway to get the trademarks re-assigned to the NZ business, which is expected to take more time. The moulds are currently held in CHAPTER2 Consulting Limited (currently owned by Michael Pryde) in New Zealand and leased to Performance Sports Limited in Hong Kong. These will be transferred into the NZ holding co. as part of the capital raise. The NZ holding company will then enter mould leasing agreements with all relevant manufacturers. This will protect us in regards to them not using our moulds for business other than with CHAPTER2, and also, in the case of manufacturer insolvency, we can go in to take the moulds away at short notice as a creditor. To date we don’t have any patents on our products, but we do have copyright protection. We are focused on growing the business via the strategy detailed to drive shareholder value creation over the next 7 years. We forecast that this will get the business to a size of around 16,000 units by the end of FY26. We would expect increased interest in the acquisition of the CHAPTER2 business at that level of output, from either a trade sale to a larger industry player, or institutional investment to further accelerate the business's growth. At that point the business would also be cashflow positive and the board would consider all options available in order to generate returns for shareholders. There are no current formal discussions or circumstances that we have had that suggest a full exit is likely to happen (or will happen at all). If an exit opportunity was to arise, we believe the above paragraph describes the most likely opportunities. Cervelo (Canada) – Revenue in 2009 was EUR 50m, grown to EUR 70m by 2017. Dutch Pon Group acquired them in 2012 for an undisclosed amount. Pinarello (Italy) – In 2016 they did EUR 52m in revenue, 90% from exports. They were then brought by L. Catterton, (LVMH’s private equity arm) in 2016 for an undisclosed amount. The company had 50 employees, exported to over 50 countries and was producing 30,000 units at the time. Canyon (Germany) – Canyon received private equity investment from TSG Consumer Partners in 2016, in order to expand exports into the U.S. In 2017 Canyon had EUR 159m in revenue, over 850 staff and they export via their online only sales model to over 104 countries. CHAPTER2 is focused currently on re-investing funds into the business in order to scale up production and build the brand in the marketplace. 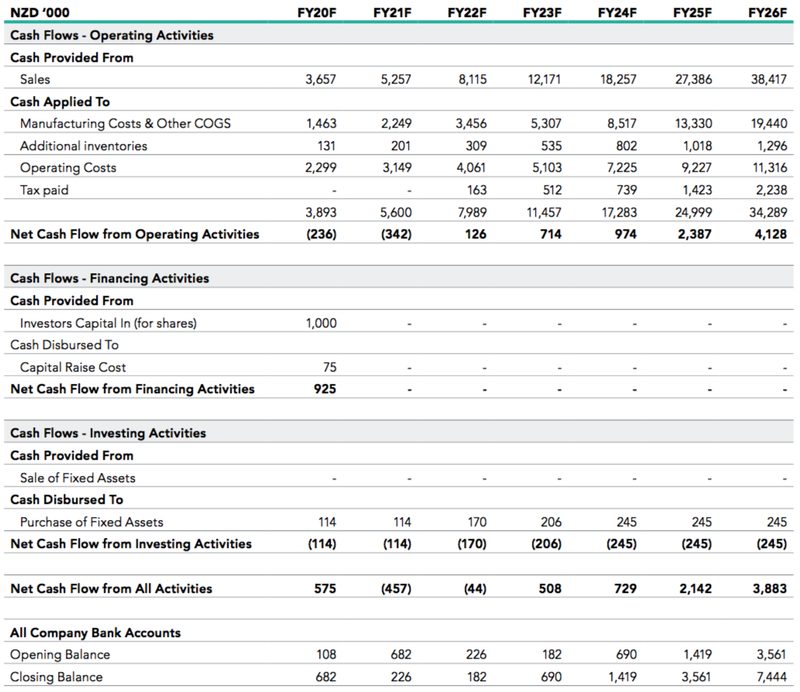 Our forecasting shows a strong cash balance being produced from FY22 onward and at that stage the board would consider all options available to them including returning funds to shareholders, or further investment in the business. The NZD $1m minimum raise target will cover two years of negative operating cashflow for FY20 and FY21 as the business invests in the growth of its distribution model and capex on demo fleets to drive sales. Any additional funds raised above the minimum raise amount will allow for more budget flexibility in the likely case of variance, deeper investment in inventory and fund more fulsome demo fleets in different markets to help drive sales. A significant portion of the growth in the business is funded through internally generated cash flow. We believe a raise between NZD $1m-$1.5m provides enough flexibility to execute on these plans. Our focus is on funding operating costs, given the favourable cash cycle in our business from online ordering and just in time manufacturing. Key person risks - CHAPTER2’s future success depends heavily on its founders contributions. The loss of these key staff could have a material adverse effect on CHAPTER2. CHAPTER2 are hiring new staff as part of its growth strategy to reduce concentration of responsibility in the founders. The founders will continue to hold significant equity positions in the business, aligning their interests with the new shareholders. Competitor risk – CHAPTER2 faces competition from numerous other road cycling producers. Incumbents are far too heavily invested in their current model year and distribution methods and are therefore not able to change without significant risk to their ongoing business. The barriers to entry are relatively high for start-ups, due to the cost of moulds, design, testing, branding and marketing. CHAPTER2 will continue to evolve and adapt to competitive pressure and market change. Scale-up risks – CHAPTER2 faces risks arising from increasing production and building sales internationally. CHAPTER2 will maintain our robust quality control process. CHAPTER2’s management have previous experience in establishing overseas subsidiaries and managing factory operations in Asia. The continuation of the HK warehouse/product team will ensure on time delivery at exceptional quality. We will also hire local management in new regions who will have a sound awareness of local rules and regulations pertinent to the business. Market risks – CHAPTER2 faces risks from an overall economic downturn, to a more localised downturn in any one of its key operating regions. Any decrease in demand or attractiveness of the road biking industry is also a key business risk. The high-end bicycle market has weathered many economic downturns and even during hard times, people will continue with the sport. CHAPTER2 is already adapting to changes in the market with the introduction of the gravel model and will aim to stay at the forefront of the various trends that emerge. Foreign exchange risks – CHAPTER2 budgets are in USD due to most costs being incurred in this currency. Due to the export nature of the business, CHAPTER2 has significant exposure to a diverse basket of currencies. Any change in exchange rates could have a material impact in CHAPTER2’s profitability and demand. CHAPTER2 has a natural hedge in its current key regions due to the majority of buying and selling being done in USD. As we expand into Europe we will investigate forex solutions with our local banking partners. Budget risks – CHAPTER2 faces risks from not meeting budgeted revenue or costing figures. 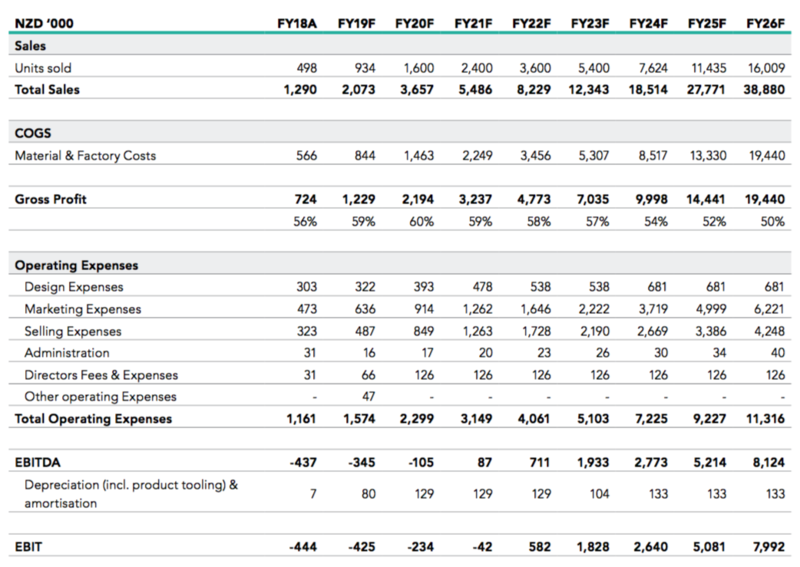 If revenue is lower or costs are higher than forecast, we may have to pare back production or raise additional funds. We believe our forecasts are achievable based on known assumptions and have benchmarked them against comparable industry information. We have worked closely with financial professionals in producing forecasts and also have a wealth of industry experience to draw upon when costing goods and evaluating what level of capital expenditure is required to execute our plan. Trade & regulatory risks – CHAPTER2 operates internationally and has already had recent issues come to light with the ongoing US & China trade war. We face risks from any additional developments that increase tariffs, restrict production or introduce quotas that negatively affect our ability to operate. CHAPTER2 is largely at whim to any development in the trade war, but we have maintained good relationships over many years with our production partners and communicate regularly to best navigate any changes. We are also investigating spreading manufacturing to Vietnam/Taiwan in order to reduce this reliance. Insurance – CHAPTER2 may, where insurance is available and feasible, endeavor to mitigate some risks associated with our business by obtaining insurance. Performance Sports Limited currently holds Product Liability Insurance via Liberty Mutual Insurance in the amount of US$5m for any one occurrence, and US$10m in total during single year. The CHAPTER2 budgets and financial model are denominated in USD due to purchasing and sales occurring in USD. Historical performance including the FY18 audited statements have been calculated in HKD for Performance Sports Limited due to where this company is domiciled. We have used the following exchange rates to present all relevant information in NZD in this IM. The forecasts presented assume the minimum raise amount of $1m is raised. Our financial year runs from 1 April to 31 March. The forecasts set out in this section, and the assumptions upon which they are based, reflect a position that the Board believe to be reasonably achievable. These do not reflect stretched goals, but they are also not highly conservative. It follows the Board’s best estimate of future performance and is based on current market opportunities and in line with our 7-year strategic plan. Our revenue growth is based upon a detailed business plan that breaks down forecast sales by region (Asia/ROW, Japan, North America, Europe, Australia, New Zealand) over the forecast period. The sale price in each region is estimated with regard to input costs, any relevant import duty, tariff or sales tax and shipping costs. The below graph shows the total volume in each region by financial year. Asia/ROW is currently our largest market and that is forecast to continue, with strong growth coming from North America and Europe over the forecast period, becoming our 2nd and 3rd largest markets, respectively. We have forecast sales and additional costs being incurred from 2 additional bike models beyond the recently released Huru. There is a jump in revenue growth rates in both FY25 and FY26 from the expected uptick in demand and exposure from the formation of a Tour de France team. Considerable marketing spend is tied to sales and the addition of full-time sales staff is expected to drive sales growth internationally via our omni-channel model. This model was first introduced into Japan, which has been our strongest performing market to date. Our forecasts have been sense checked by market research against other brands and our previous experiences in the sporting goods industry. Year to date revenues are NZD $1.8m at the end of January 2019 and are behind budget due to slower distribution partnerships than expected in Australia, economic conditions in China and regulatory challenges in Europe from the Anti-Dumping laws. There is now a clear pathway for importing goods into Europe without incurring Anti-Dumping Duties in Europe and a distribution agreement has now been established in Australia. The conditions in China have improved slightly and we continue to work closely with our partner there to ensure we are still progressing in the market despite the conditions. Our gross margin YTD remains above 53%. Our marketing spend is estimated as a historical percentage of total sales. This moderates slightly over time as we build a stronger brand presence after the start-up phase. Product manufacturing costs, including moulds are based on actual experience in the first 1-1⁄2 years of operations. We plan to offer a Pro-Model based on the sponsorship of a Tour de France level team in FY2024 and this has been accounted for in the budget, including additional design team members. Gross margin is expected to reduce to 50% over time in order to reach the forecasted sales volume. Extra discounts and offers to larger customers are expected in order to continuing growth. The purchase of fixed assets relates to our CHAPTER2 demo fleet for each line. The starting balance sheet position has been set as at 31 March 2019 (end FY19), by taking the balance sheet position as at 31 January 2019 and estimating any applicable movement between 31 January and 31 March 2019. The forecasts assume that the minimum proceeds from the capital raise ($1m) are available on 1 April 2019. The position for FY19 reflects the fact that moulds (NZD $188k) and trademarks (NZD $129k) have been transferred to CHAPTER2 Sports (holding company) at cost with a commensurate adjustment in founder equity. In FY19, Neil and Michael Pryde have continued to fund the business through shareholder advances. Advances of NZD $446k and NZD $47k from Neil and Michael Pryde respectively have also been converted to equity. 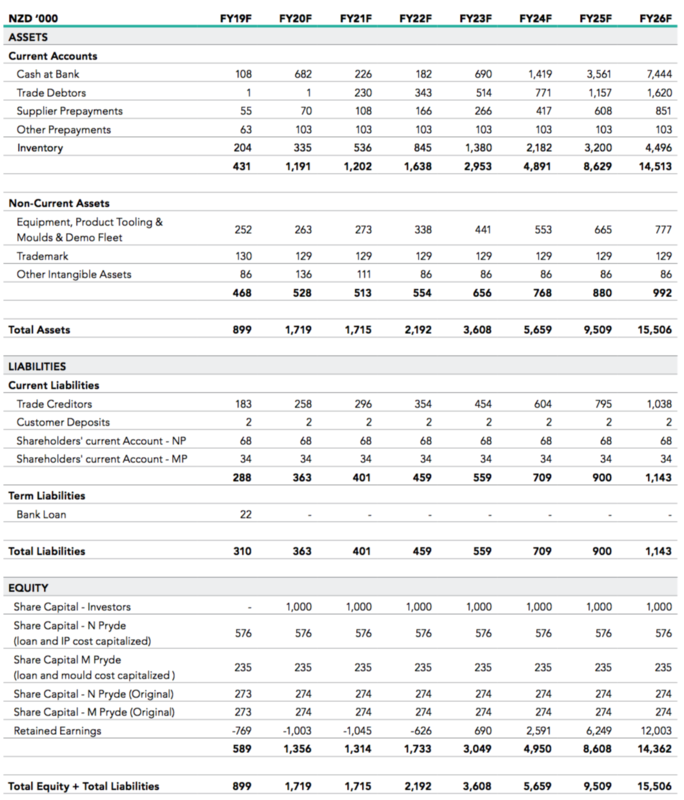 Residual advances of NZD 68k and NZD 34k are forecast to remain on the balance sheet as current liabilities resulting from the ongoing funding of the business until 31 March 2019, and the board will endeavour to repay the remaining balance of shareholder loan advances from future free cash flow as and when appropriate, taking into account the prudent financial management of the business in a manner that does not inhibit the growth strategy of the business. The CHAPTER2 board of directors and several cornerstone investors have agreed upon a pre-money valuation of NZD $2.5m. The CHAPTER2 board of directors took independent advice regarding an appropriate valuation, which indicated that a pre-money valuation of NZD $2 - 5m would be reasonable. Given the risks and potential return for a business of CHAPTER2's nature, cornerstone investors and the company agreed that a pre-money valuation of NZD $2.5m was appropriate. NB: The board of CHAPTER2 will consider oversubscriptions up to $1.8m. CHAPTER2 is offering ordinary voting shares (Ordinary Shares) ranking equally with all other shares on issue. Except for Ordinary Shares issued for investments of NZD $100,000 or more pursuant to the Subscription and Shareholders’ Agreement, the Ordinary Shares to be issued by CHAPTER2 are to be issued to Snowball Nominees Limited (“Nominee”), who will hold legal title to those Ordinary Shares on trust for the relevant beneficial owner of those Ordinary Shares (i.e. the investor). Further detail on why CHAPTER2 is choosing to use a Nominee is described under the heading “Nominee shareholding structure” below. pre-emptive, or anti dilution, rights on certain share issues, as set out in the Subscription and Shareholders’ Agreement and Constitution. There are exceptions to these rights (also set out in those documents) – for example, the issue of equity securities (including shares and options) to employees and/or management and issues of equity securities (again, including shares and options) not exceeding 20% in any 12 month period. Holders of Ordinary Shares are also subject to drag and tag along rights (as set out in the Subscription and Shareholders’ Agreement). The Subscription and Shareholders’ Agreement and Constitution set out other terms that will apply to a shareholding in CHAPTER2. You should read these documents before subscribing for Ordinary Shares under the Offer. We are making use of a nominee shareholding structure to prevent the company from becoming a “Code Company” for the purposes of the Takeovers Code. In broad terms, a company becomes a Code Company when it has 50 or more (voting) shareholders and share parcels, and shareholders of Code Companies can be restricted in how and when they are able to transfer their shares. Due to its size, our advisers and board do not believe it is in the best interests of CHAPTER2, its existing shareholders, or investors for CHAPTER2 to become a Code Company and bear increased compliance costs. Except for Ordinary Shares issued for investments of NZD $100,000 or more pursuant to the Offer, the Ordinary Shares to be issued by CHAPTER2 are to be issued to the Nominee, who will hold legal title to those Ordinary Shares on trust for the relevant beneficial owner of those Ordinary Shares (i.e. the investor). The full terms on which the Nominee will hold the shares are set out in the Nominee Deed Poll (which forms part of the Offer Documents). deliver notices, letters, reports, demands, offers, agreements and other documents and communications received by the Nominee to the relevant beneficial owner. Under the Nominee Deed Poll, each beneficial owner indemnifies the Nominee against any losses, damages, costs, actions, proceedings, claims and demands that may be made against or incurred by the Nominee as a result of it holding the Ordinary Shares under the Nominee Deed Poll (unless the Nominee has been fraudulent or grossly negligent). 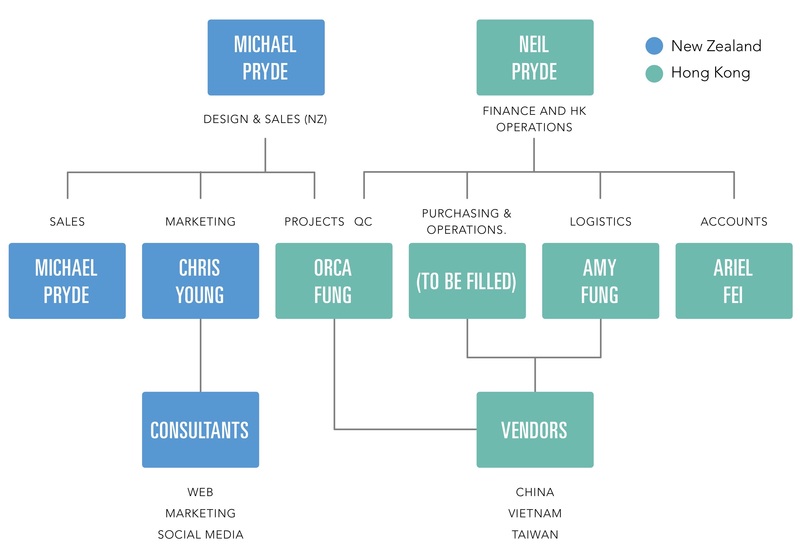 Performance Sports Limited (the Hong Kong subsidiary of the CHAPTER2 business) engaged Michael Pryde for his design expertise via CHAPTER2 Consulting Limited over the formation period of the company. The original design moulds were leased between these two parties. The ultimate ownership of this IP has been transferred to Chapter 2 Sports Limited (Holdco) in NZ as part of this capital raise. Whilst there are no current employee options or share-based incentives, CHAPTER2 intends to use these in the future to further align staff with company performance. The dilutive effect of this will be no more than 10% of outstanding equity. Key staff remuneration is as follows: Michael Pryde NZD $180k p.a, Neil Pryde NZD $110k p.a, Chris Young NZD $115k p.a. The CHAPTER2 board consists of Michael Pryde and Neil Pryde. Detail on their experience is available under the team section. CHAPTER2 has committed to appoint an independent director as part of this capital raise. The CHAPTER2 board believe the current strategic plan and accompanying financial forecasts will drive the business to a strong cash position by FY22, meaning no future funding events are planned at this stage. Any new growth initiatives or changes to expected financial position arising from adverse budget movements may require a reassessment of this position in the future however. We intend to use Snowball Effect’s Share Registry service. A quarterly business summary update (more frequently if circumstances warrant). An annual update of the outlook of CHAPTER2, including financial statements and commentary approved by the board. Participation in an Annual Shareholders Meeting. Snowball Effect charges an initial fee of NZD $5,000 and a fee if a company successfully reaches its funding target. The latter fee is the larger of NZD $25,000 or 7.5% of funds raised. Snowball Effect may amend this fee in discussions with the company before an offer is listed on Snowball Effect. The distribution of this offer outside of New Zealand may be restricted by law. This is not intended to, and does not, constitute an offer of securities in any place which, or to any person to whom, the making of such offer would not be lawful under the laws of any jurisdiction outside New Zealand. This includes, but is not in any way limited to, Australia and the United States. It is the responsibility of any Snowball Investor to ensure compliance with all laws of any country outside New Zealand relevant to their subscription, and any such Snowball Investor should consult their professional advisers as to whether any governmental or other consents are required, or other formalities need to be observed to enable them to apply for securities pursuant to each offer. The failure to comply with any applicable restrictions may constitute a violation of securities law in those jurisdictions. The securities in each offer have not been and will not be registered under the US Securities Act or the securities laws of any state of the United States.